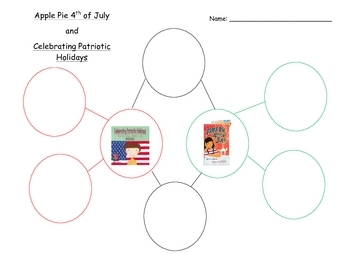 This double bubble map goes along with a lesson where I read the story, "Apple Pie 4th of July" and "Celebrating Patriotic Holidays." After we read both stories the class compared the stories and filled in the circles with illustrations that they came up with. This lesson went along with teaching about the 4th of July and why we celebrate it. Email me for me ideas!! !